90's trends have been resurfacing everywhere in recent times, and it's totally nostalgic for me. 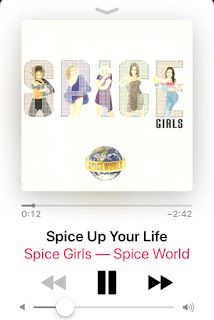 I'm always telling my kids about the things we did in the 90's. What games we played and what movies we watched. Things have come a long way since then. I always point things out in old movies, gigantic tv's and the very first mac computers (that were huge) . I'm always telling them about the days before cell phones and tablets, when we spent our time writing notes and folding them into complicated shapes. 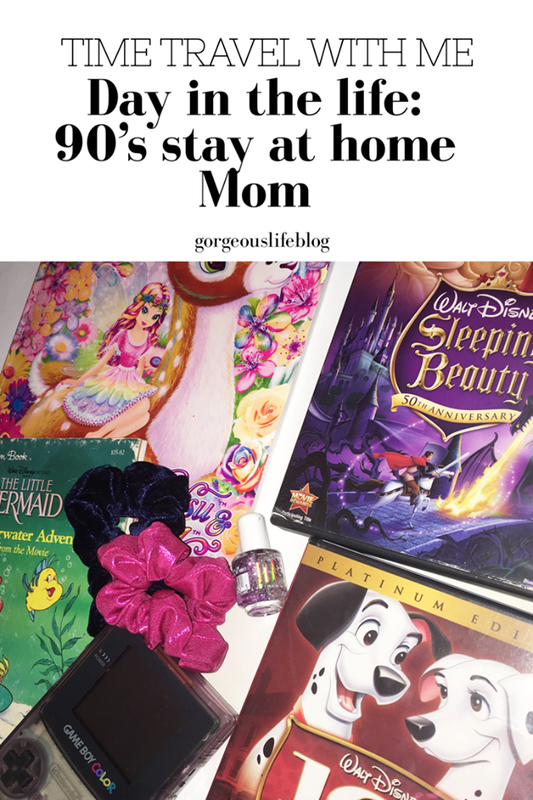 I miss the old days so much that I figured I live like we did in the 90s for a day. I did some research and it turns out that it's totally a thing! Bloggers and you tubers a like have done a day in the life and shared it with us. So of course I had to do it! 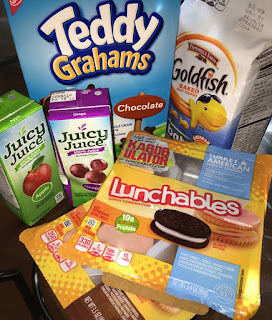 I grabbed everything I still have from the 90's (which isn't much) And grabbed some classic 90's food from the grocery store. I told the kids the plan and they were totally cool with it! The kids ate Cookie Crisp cereal for breakfast. Does anyone remember the commercial for that by the way? It was always on TV when I was growing up. After breakfast the kids did their school work until it was time to go to the pool. We did the majority of it last night, because open swim hours are early for us. We have to be there by 11 am. Swimming is always a fun time. The water was way warmer than last time, thank goodness. After the pool we came home and took showers. Then had lunch. 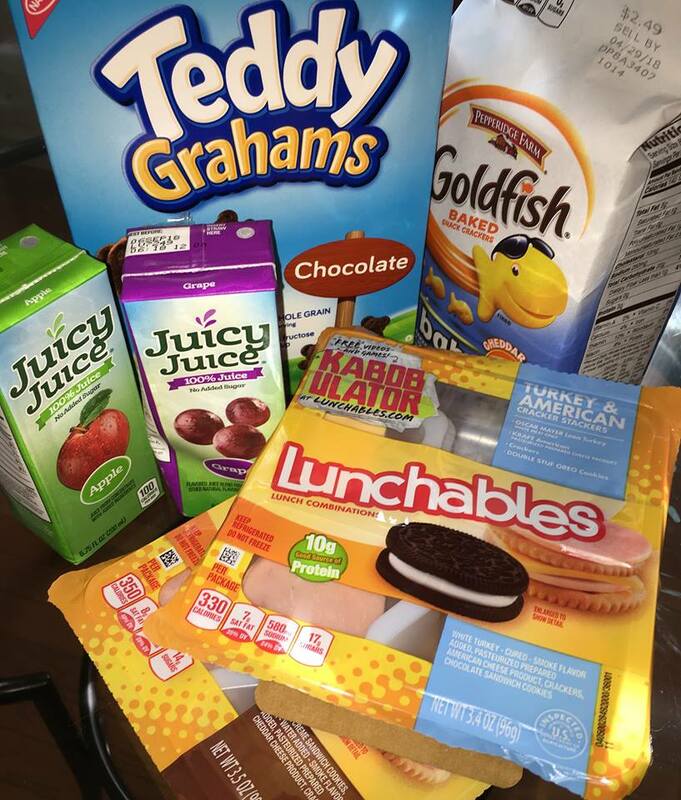 Since the 90's was major for processed food, I gave the kids Lunchables, Juicy Juice, Goldfish, and Teddy grahams. All of which I had when I was a kid. Grilled Cheese sandwiches were popular at our house too. Lunch was delightful. My husband doesn't have to work on Friday's so we get to have lunch together. We did temporary tattoos-which were all the rage when I was a kid. Then they watched a movie. I sorted all of the movies I have that we used to watch in the 90's. They ended up choosing Space Jam, which was a favorite of mine when I was a kid. They also watched Lion King recently which was HUGE for us 90's kids. Although they wanted to play their Nintendo Wii today, I told them they couldn't because we didn't have them in the 90's. Instead they did play doh, and colored in their lisa frank coloring book. By the way...I had an unhealthy addiction to all things Lisa Frank as a kid lol. We had bagel bites for snack, but the girls didn't like them, so I ate some of them myself. I don't really like them that much anymore. Everything tasted better as a kid. We had burgers and fries for dinner, which we had a lot back in the day. But when I was a kid, I was eating McDonalds, and I do not let my children eat there, So I cooked the food at home. I spent a lot of time at fast food places as a kid-not cool. 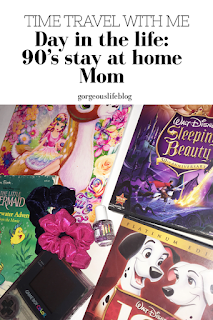 Honestly, I had a wonderful day, but the 90’s were the most fun when we were kids. My girls enjoyed it and asked if we could do it again, so I’ll have to think of some new activities for next time. The television shows in the 90’s were crazy though, and they bring back so many memories! What do you miss about the 90’s? Let me know in the comments!